Our custom team has made ties for schools in almost all of the 50 states. 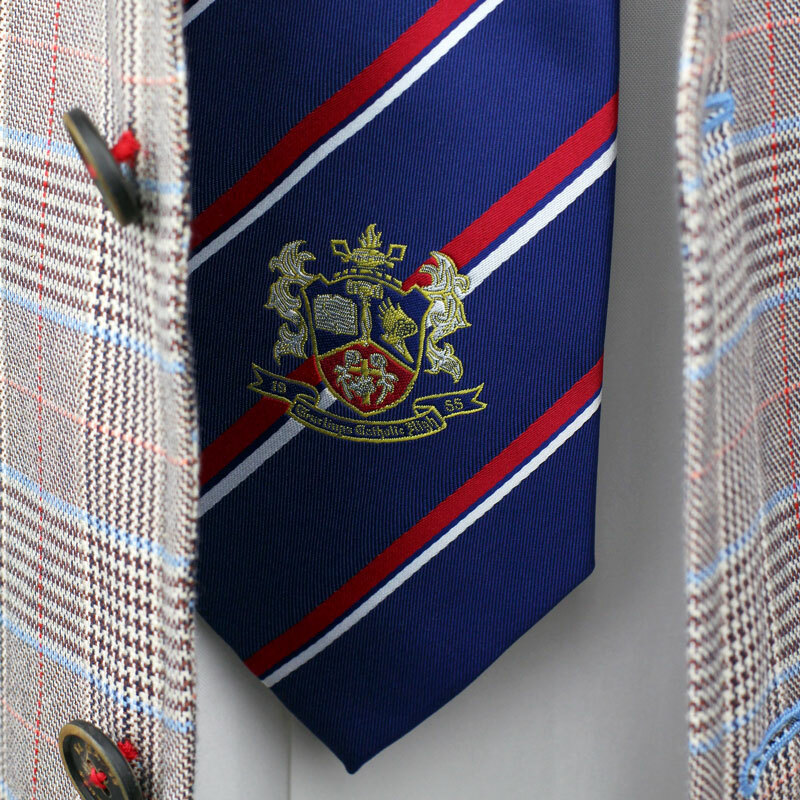 We even made ties for private schools in Africa, throughout Europe, as well as Asia. 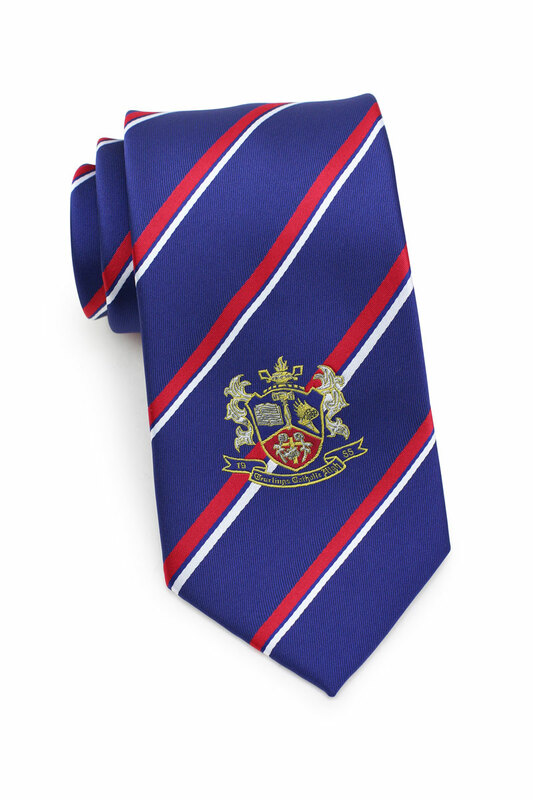 One of our most popular designs is a classic rugby striped pattern in school colors with an embroidered crest or logo at the bottom. 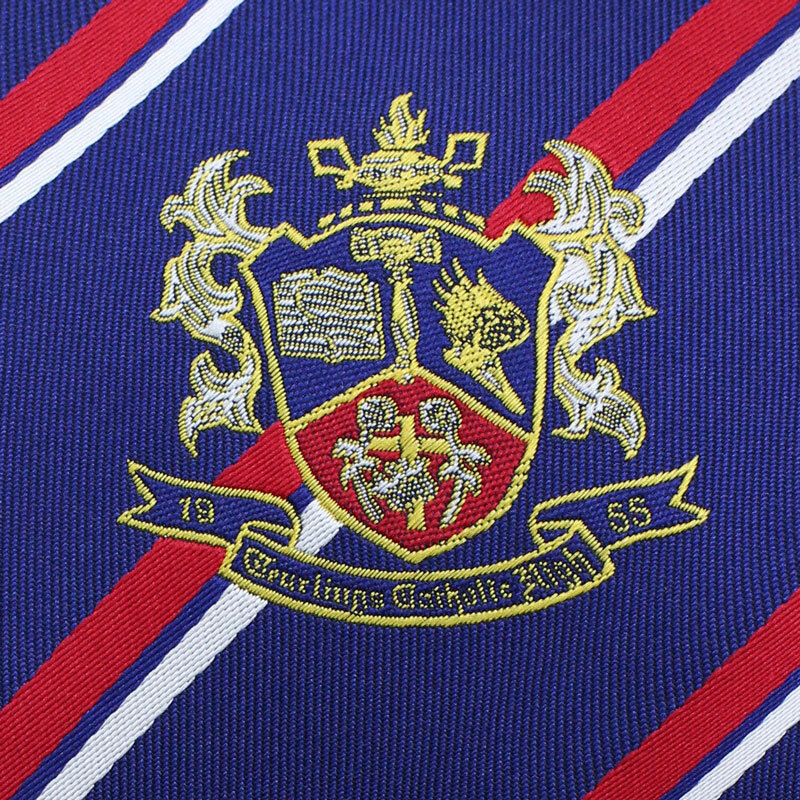 Below are some photos of a custom tie we recently made for a private school in Louisiana. Since the ties had to fit a wide age range, we created this tie in two different sizes (ages 9-15) as well as a size for ages 15 and up.